Skimming Jason Stern’s resumé, it’s easy to see how he climbed his way to the top of sales in the professional sports world. Working with the NFL, MLB, NBA, and NHL, he landed what many would consider “dream jobs.” So you wouldn’t expect a complete change of course after 18 years of success in the pro sports arena. Jason thrived in sales for the Minnesota Timberwolves, Twins, and Wild, the San Diego Chargers and Padres, and a slew of other teams. But he eventually found N2 and signed on with us in 2017 – trading his professional expertise in arenas, fields, courts, and rinks for communities, cul-de-sacs, local businesses, and newfound family time. Starting as a volunteer sales intern, Jason got his foot in the door of professional sports with his home-state team, the Minnesota Timberwolves. But it didn’t take long for him to make it to the big leagues full-time with the Minnesota Twins. Jason would eventually bring in more than $1 million in annual sales (twice!) and earned his way to become the top producer for the organization. The Stern family made some big personal moves amidst all his professional growth. While Jason was with the Wild, he and his wife, Genie, became the proud parents of three little girls – including one set of twins – all under the age of 3 (and in diapers). Genie always dreamed of living in San Diego, so, in one of the many ways he’s proven to be a selfless husband and father, Jason promised if there was a job opportunity in the area, they would make the move. As fate would have it, an opening in the San Diego Chargers’ sales department arose and Jason and Genie answered the call of the beach. After relocating, they sometimes rubbed the sunshine and ocean views in their friends’ faces during the brutal Minnesota winters back home. As is often the case with growing families, not all teams remain in the same city for the long haul. But when the Chargers moved to Los Angeles, Jason decided it was best to stay put by becoming the Director of Premium Sales for the San Diego Padres – his last season in professional sports. Though San Diego was certainly “home” for the Sterns at this point, one relative thought otherwise. Jason’s mom visited in June 2017 (with no real sign of her California “vacation” ever ending), and this was the catalyst for yet another big move for the family of five. As June turned into July, Jason found himself at the kitchen table as his mom pored over the internet for potential jobs that would bring her son and his family closer to Minnesota. She was on LinkedIn during one such search and asked if he’d heard of N2 Publishing. Jason’s main hobby is photography, and he currently has more than 28,000 photos of his family readily available on his iPhone. So it’s no surprise the high-quality photos in our publications grabbed his attention. He applied to become an Area Director and heard back from Wendy Franke, a national recruiter and Area Director for N2. He then spoke to Midwest Region Director Bernadette Hayes and felt things were heading in a good direction. It was one of those moments where Jason knew his faith wouldn’t lead him and his family astray. If they were to move back to the Midwest, there was an area where they always dreamed of living – Woodbury, Minnesota. There were only three communities available for N2 publications in the state, and it just so happened that one of them was in Woodbury. Jason calls it a “God wink.” After going through the application process and finding out their ideal community was in need of a publication, he knew joining N2 was the right call and it finally became clear where God was leading them next. 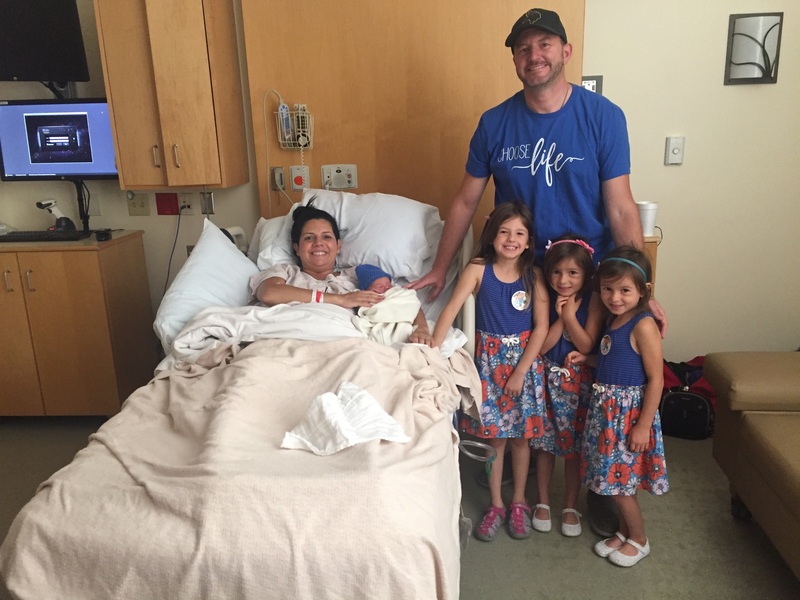 “My wife and I have always prayed about all of our decisions. Prayer is what led us to San Diego, [and then] prayer is what led us to N2 and back to Minnesota,” Jason said. On August 1, 2017, Jason officially accepted N2’s offer. With two cars and the whole family (mom included) in tow, the Sterns drove from San Diego to Woodbury, and five days later, he headed to training. 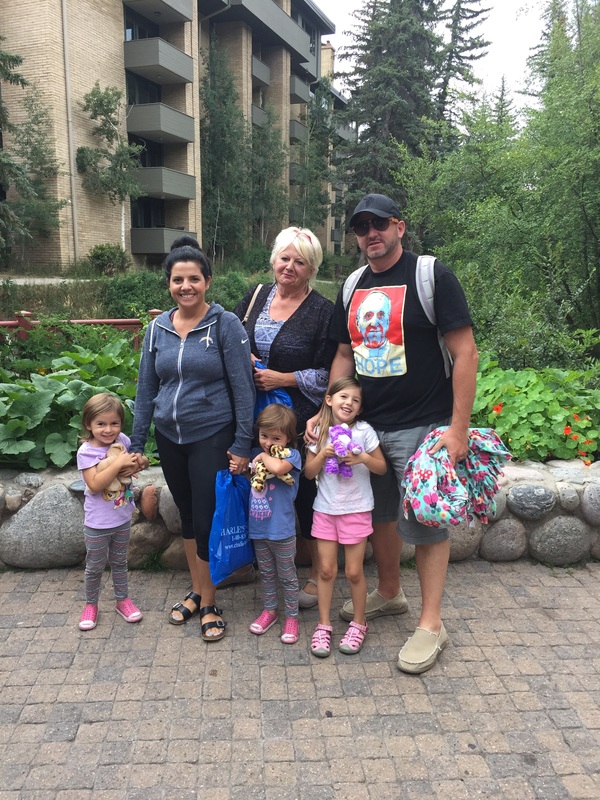 The Sterns stopped in Vail, Colorado, when moving back from San Diego to Woodbury. Jason's mom Dianne is in the photo and obviously quite happy they were headed home to Minnesota. “In my mind, I thought, ‘Okay, I have 18 years of sales experience in professional sports.’ So I thought I knew sales. But I had to go in with an open mind, learn, and do what I was told,” Jason said. Although training went well, Jason’s ramp-up initially left something to be desired. The Fall National Conference was coming up and he still hadn’t made his first sale. He didn’t want to attend the gathering – he didn’t think the N2 opportunity would even work out for him at this point – but his new team members encouraged him to go anyway. “It changed everything for me,” Jason said. He met with Brittany Horn after one of the sessions and told her his troubles with making a sale. At the end of their talk, one simple piece of Brittany’s advice stood out in particular: “Just give it to God, Jason.” With that approach fresh in his mind, he not only hit the ground running after Conference, but September 2017 still ranks as Jason’s greatest sales month to date. “I came out with that swagger and it got me through [the rest of] ramp-up. ‘I’ll do my best and God will do the rest’ is what I kept telling myself,” he said. He also credits Central Region Director Jason Hietbrink as the greatest mentor he’s had throughout his professional career. In fact, he gets choked up just talking about the respect he has for Hietbrink as a leader. Hietbrink lives the N2 culture, and now Jason does, too. Growing up with a single mom, even as a young kid Jason wanted to succeed most in life as a good husband and dad. He felt like he was doing a lot of things right before joining N2, but the fact that he didn’t have much time with his kids – now three daughters and a son – was eating away at him. 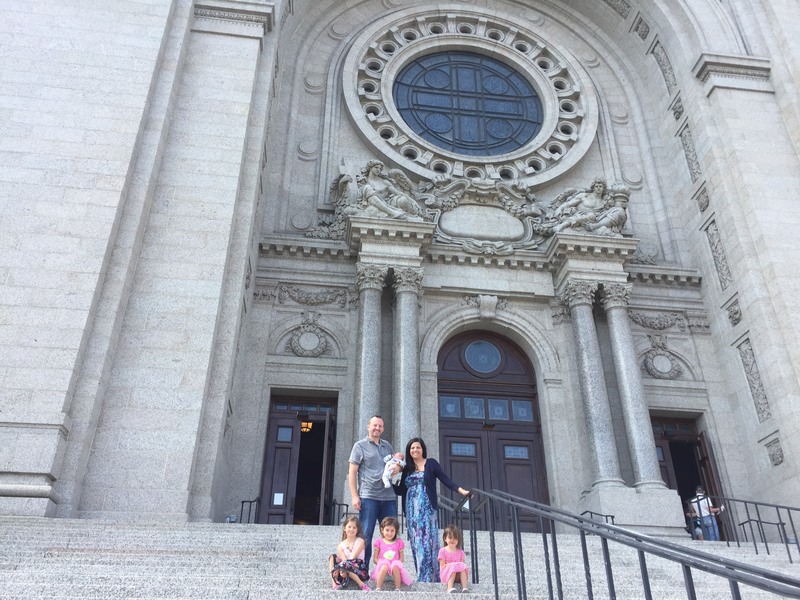 Jason proposed to Genie on the steps of the Cathedral of Saint Paul, they got married at that church, and all of their children were baptized there. The morning after Genie and Jason's son John Paul (JP) Joseph Stern was born. We could go on and on about Jason’s life, family, experiences with N2, and so much more, but there’s one big achievement we’d be remiss not to mention. At the 2018 Fall National Conference, Heitbrink presented Jason with the Lunch Pail Award – an honor that recognizes the most dedicated and hardworking at N2. “I’ve been very blessed to receive numerous sales awards, trophies, and sports awards. That little lunch pail means more to me than any other award I’ve received because I know how hard I worked, how hard my family’s worked, and all the people who believed in me that I could make a career out of this – there’s a lot of blood, sweat, and tears that went into that Lunch Pail Award,” Jason said. He is so clearly deserving of all of his success as he proves to be a tireless worker who keeps his family at the forefront, an exemplar of our culture. Jason is already making big waves at N2 with only one year under his belt, and we can’t wait to see how his journey continues to unfold.